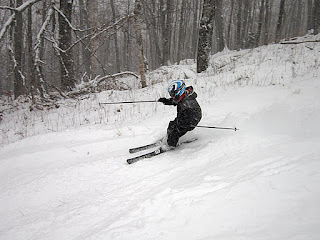 We had a very successful first day skiing! It was just the MaineSkiFamily boyz as mom is not quite ready to ski yet. We usually do a boyz trip the Wednesday before Thanksgiving each year. 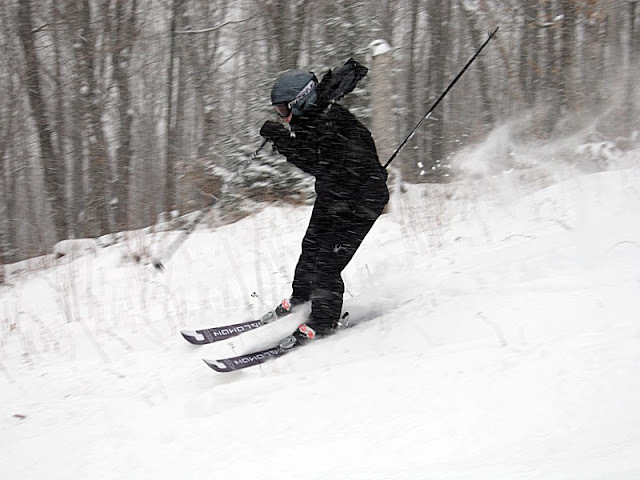 This year we lucked out with about 6" of fresh powder at Sugarloaf! Sugarloaf basically had their great cruiser Tote Road open. Later in the day they opened Hayburner but since we had our "newer" skis we decided to skip that trail as it required a walk at the bottom... early season skiing! A lot of people have some old beater skis they use this time of year because you never know what you are going to hit in the trail. Our skis made it out pretty well for a first run of the year - although I have a couple of spots where light base repair is going to be needed. 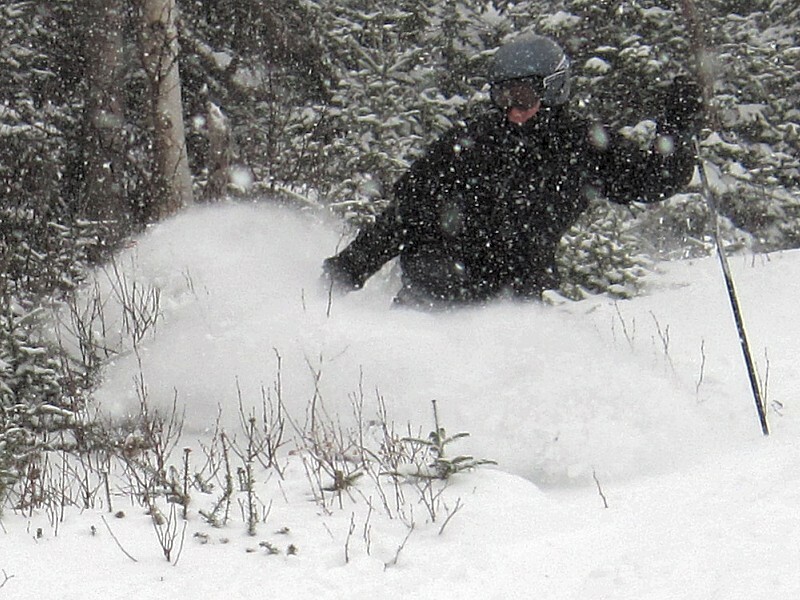 The conditions were very good. 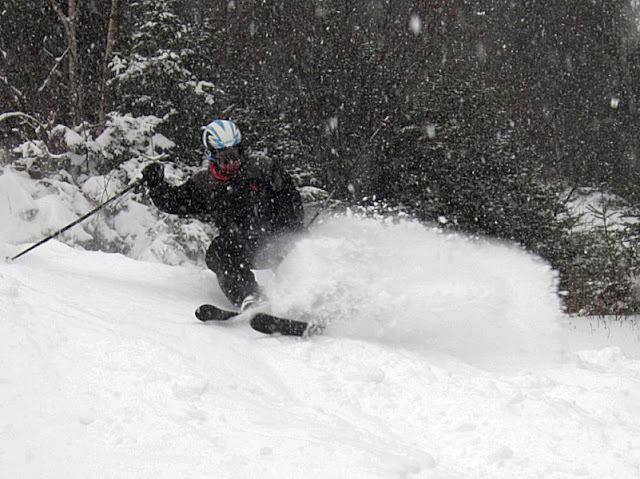 The snow piled up into some nice bumps that really taxed our early season legs. 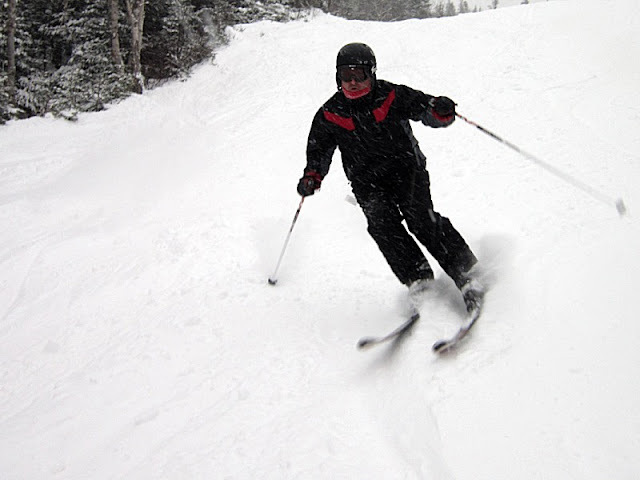 We got on the lift first bell at 8:30 and skied until about 2 when our legs finally gave up. It was really a blast to have this much snow on November 23rd! 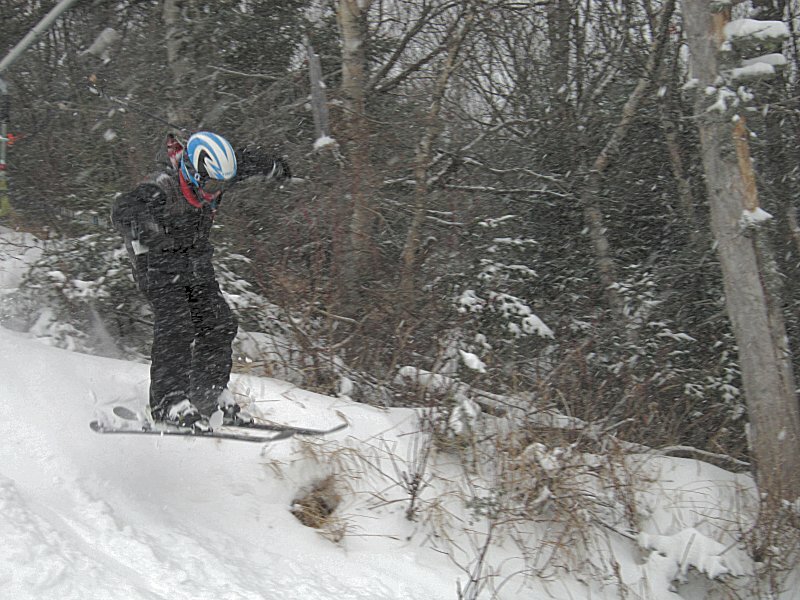 A great start to the 2011-12 MaineFamilySki Season!